In its latest regulatory agenda, the Department of Labor (DOL) confirms that its effort at creating a new overtime rule to replace the one now under a nationwide injunction is being pushed into 2019 from its original October 2018 deadline. In late November 2015, a federal district judge put a temporary hold on the Obama administration’s effort to raise the overtime salary threshold to $47,476 a year, up from $23,660. The next year, the same judge made the injunction permanent. The Obama DOL appealed. 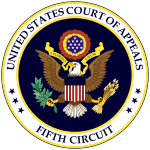 When President Trump took over, the DOL did not withdraw the appeal but let the 5th Circuit Court of Appeals place it on hold. The Trump DOL wants to raise the salary threshold but not as high as the Obama threshold, so it has asked the Circuit Court to clarify if it has the power to use salary as a qualifier in matters of who’s eligible for overtime pay. That effort is now taking longer than originally anticipated. Also in the regulatory agenda, the department said it wants to rewrite how overtime pay is calculated, taking into account bonuses, commissions, salary and other monetary concerns. It also said it would be revisiting tip pooling following Congress’s passing a law to ban employers from keeping tips. There is still a possibility, though probably remote, that the 5th Circuit judges could revisit the appeal and lift the injunction, as Tammy McCutchen, a former DOL Wage and Hour Division (WHD) administrator from the Bush administration, has famously noted. Were that to happen, businesses would have 30 days before the Obama rule took effect.